If you’re searching for auto detailing in Scottsdale for your car, truck, or suv, Bridwell Automotive Center can take care of all your needs! We provide the highest quality most thorough detailing of all types of vehicles. From exotics and sports cars to daily drivers and fleet vehicles our team will ensure that every inch is spotless on your vehicle’s interior and exterior. Our auto detailing center is the right place for you! We offer extremely thorough cleaning, polishing and waxing for your classic, new or used automobile, both inside and out. This produces a show-quality level of shine and remarkably like-new appearance. 100% satisfaction guaranteed. Popular search queries used to find our auto detailing services include: auto detailing, European auto detailing, auto detailing services Scottsdale, interior auto detailing, exterior auto detailing, car detailing Scottsdale, auto detailing Scottsdale, auto detail Scottsdale and truck detailing. 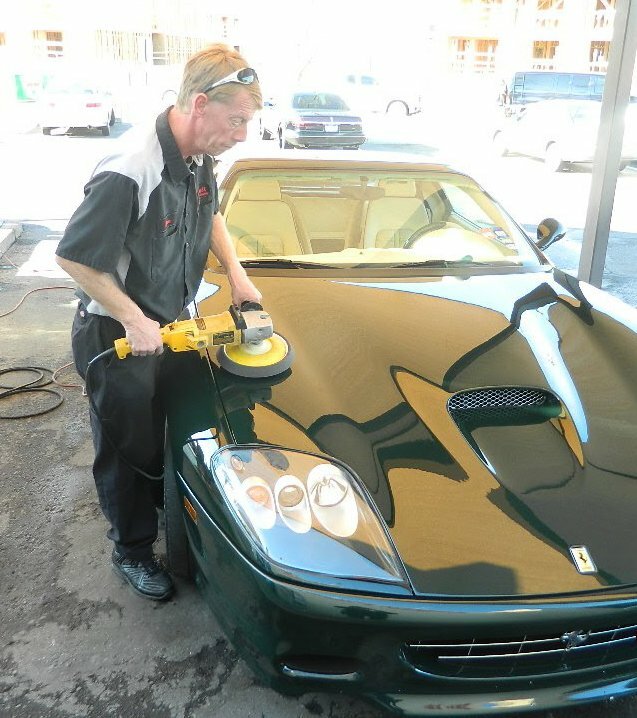 Take your car to an auto detailing Scottsdale shop that takes pride in everything we do. Bridwell Automotive knows how to baby your European, Asian and upscale foreign luxury car models. We also service restored American classic cars. It’s important to take the same care you would take. We do this by washing every angle, carefully dusting and gently wiping between crevices, and polishing every surface for maximum effect. We recapture the timeless appeal of your favorite restored, new, or used automobile to look beautiful! Since 1970, we have built our reputation by taking care of customers and their vehicles in an efficient and friendly fashion. That’s more than 45 years of experience! Knowing the needs of customers in Scottsdale has left us with countless satisfied customers. Only they can (and do) attest to the level of quality our services carry. We are a family owned business and we treat our customers as the neighbors and extended family members that they are. Our vehicles spend nearly all of their time outdoors and naturally get dusty, dirty, and have things tracked in or dropped on the carpet and upholstery. Our detailing service cleans the inside of the windows, dashboard, upholstery, carpet, and every inch of your interior! We do this by scrubbing, wiping, and then coating your interior with the right products to protect surfaces. With each and every detailing our goal is to make the interior of your vehicle look showroom new. We leave your daily driver, high performance vehicle, or track day car looking it’s best. It’s easy to schedule before a night on the town or before picking up clients for a big meeting. Keep your vehicle looking well maintained and completely detailed with our detailing service. At Bridwell Automotive Center, we are aware that our customers are busy. To that end, we provide a courtesy driver to run you back home or to work. We will even pick you up later to retrieve your newly-serviced vehicle. This service is available from 8:00 a.m. to 5:00 p.m. daily. We also offer convenient vehicle pick-up and drop off hours from 6:00 a.m. until 9:00 p.m. daily. Contact us today! Stop by our shop for service at 7171 E Lincoln Dr. Scottsdale, Arizona 85253 or give us a call! Call (480) 948-4781 to schedule your auto detailing today! 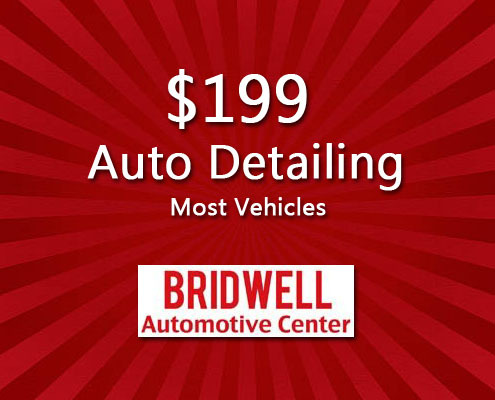 Bridwell auto detailing service restores your vehicle to a showrooms like shine.